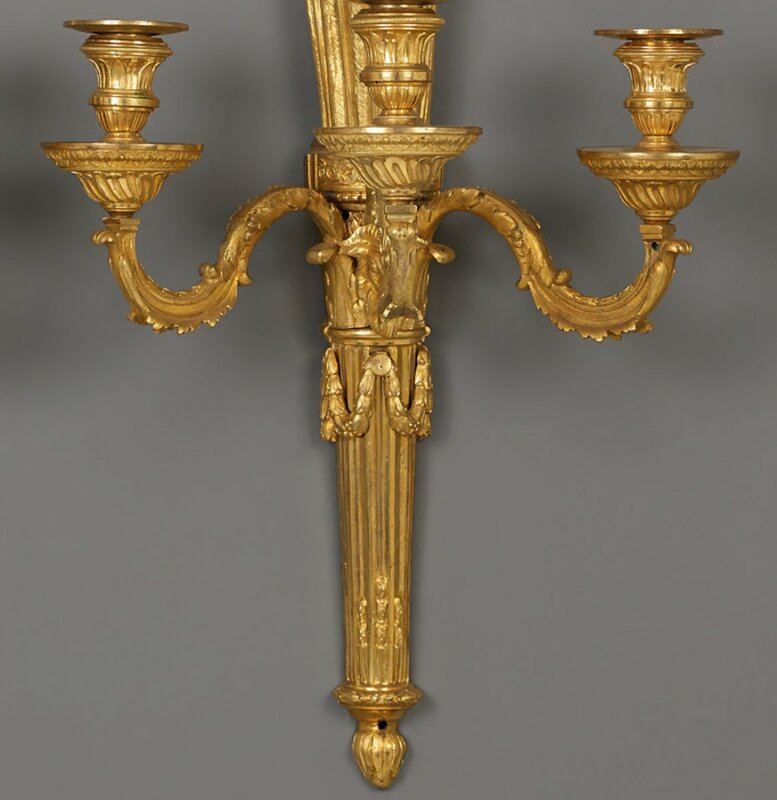 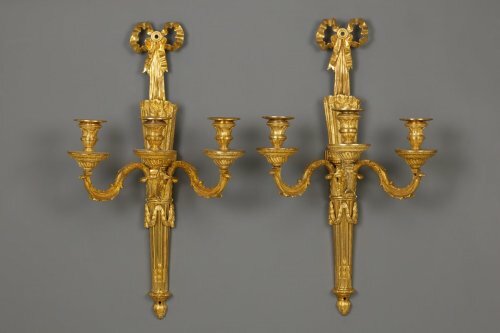 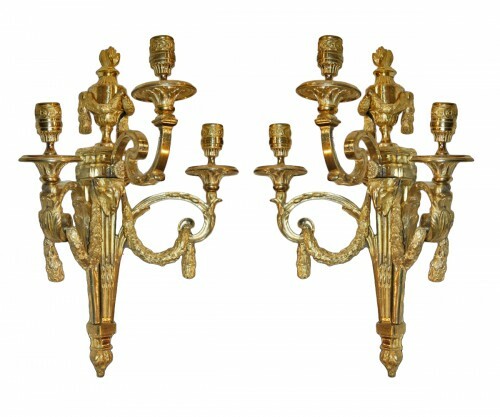 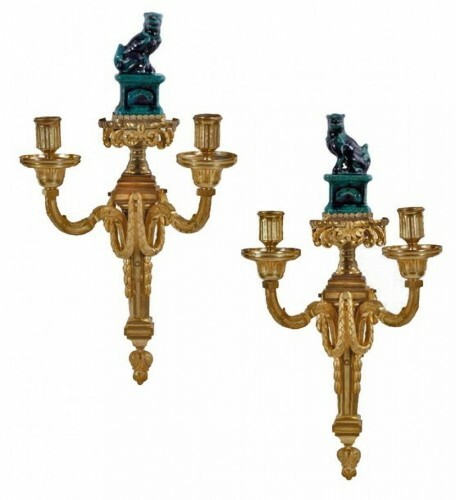 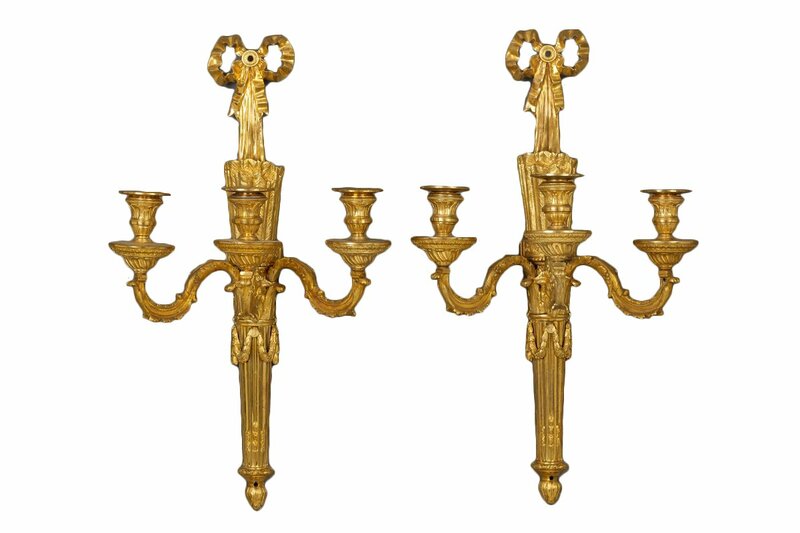 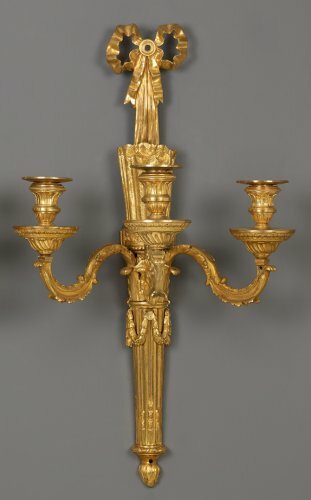 A pair of French wall lights in the shape of a quiver. 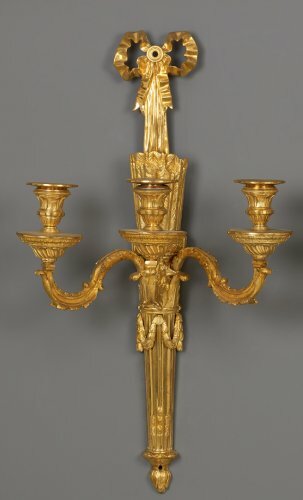 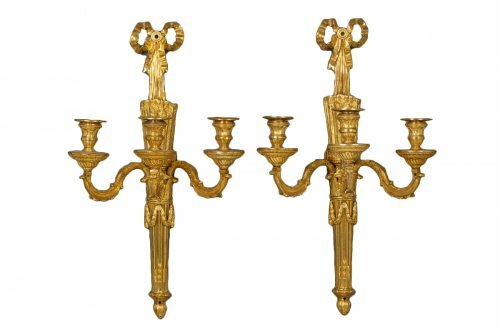 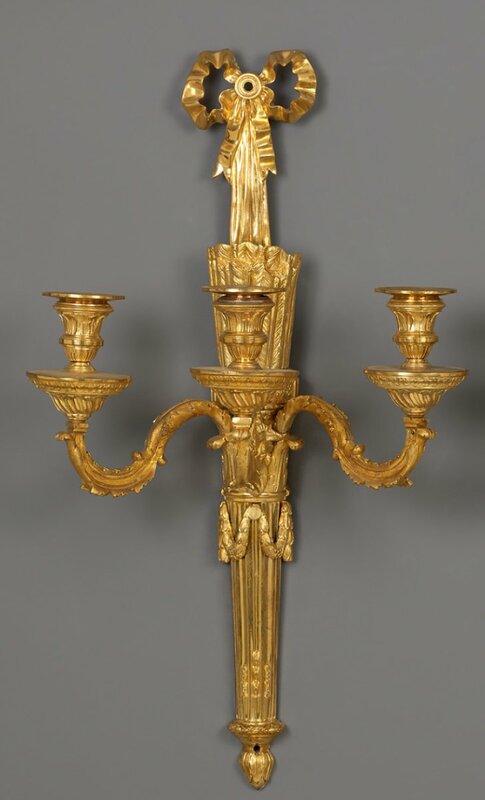 From the console on top of the torch-shaped base sprout three arms with each one candle holder. 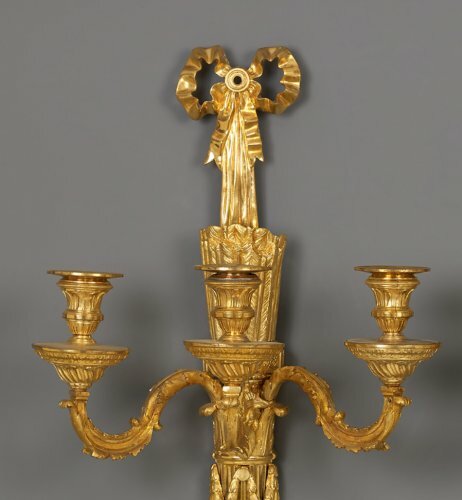 The console is decorated with hanging garlands and a ram’s head. 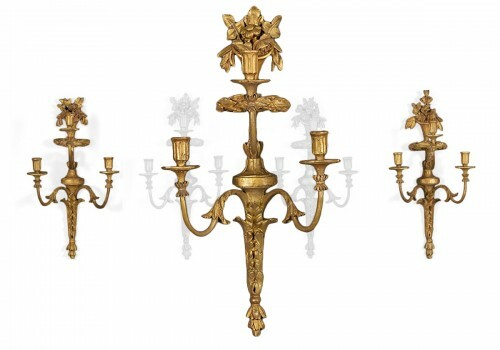 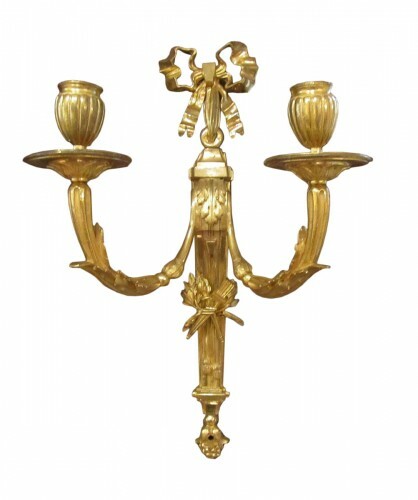 The S-volute shaped arms are decorated with hanging acanthus leaves. 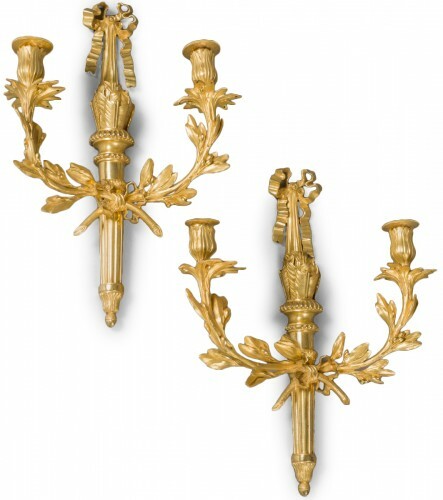 The bobèches are decorated with leaf motifs and a stylised edge and hold urn-shaped candleholders. 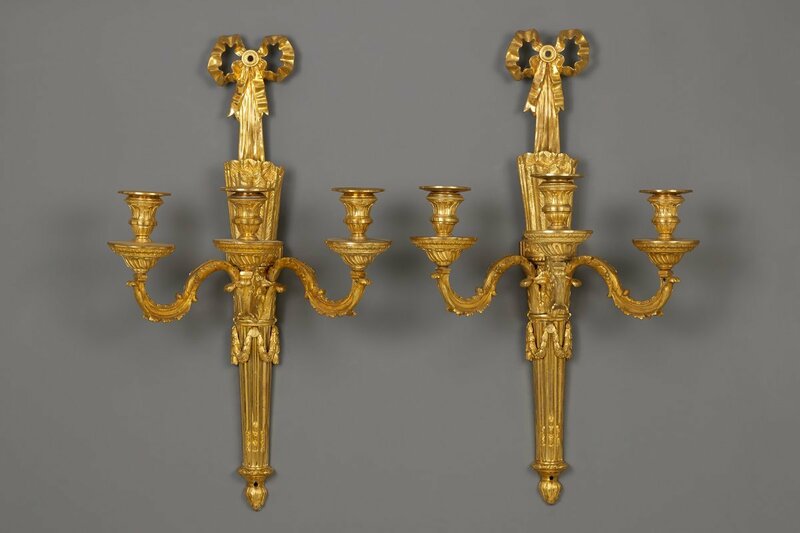 The top of the sconces is styled as the feathers of a bundle of arrows. 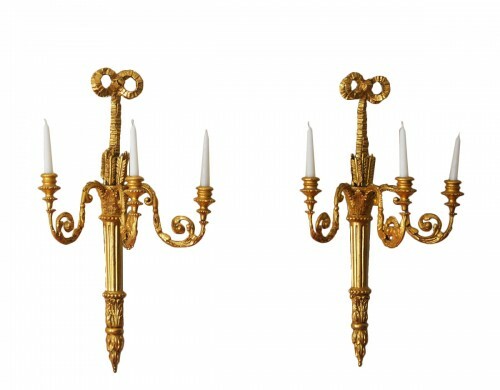 The lights are hanging from stylised ribbon bows. 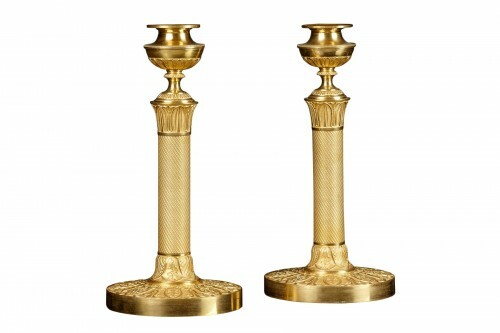 Noteworthy are the classisist architectural details. 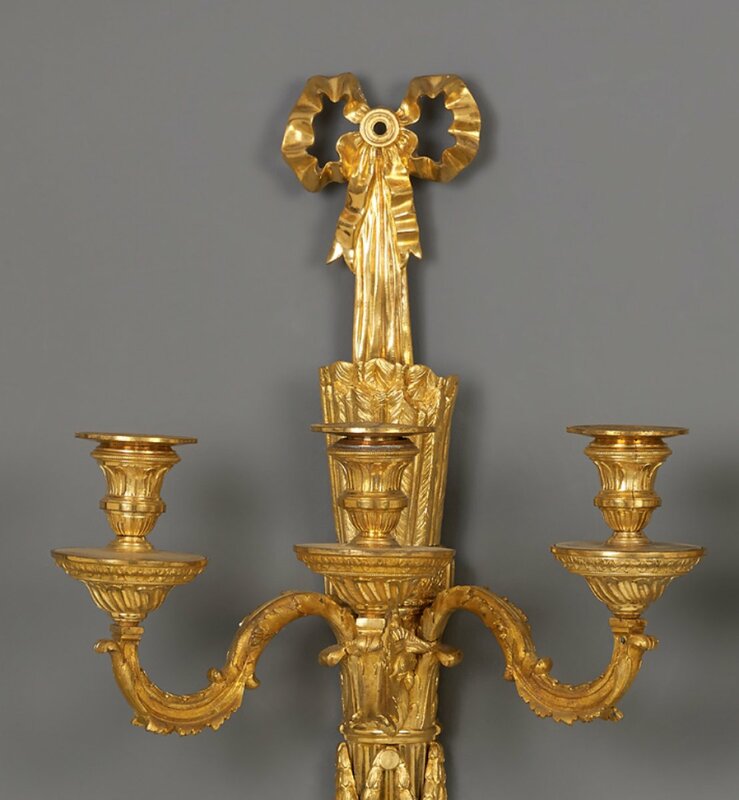 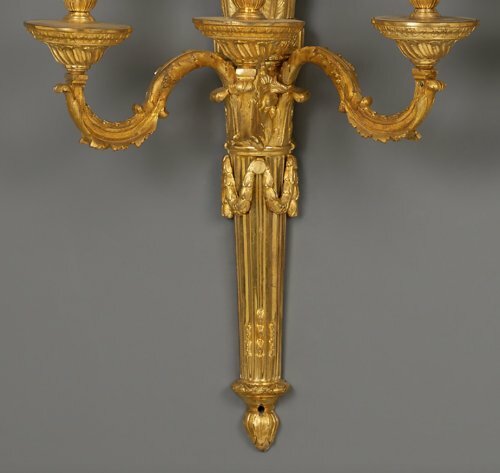 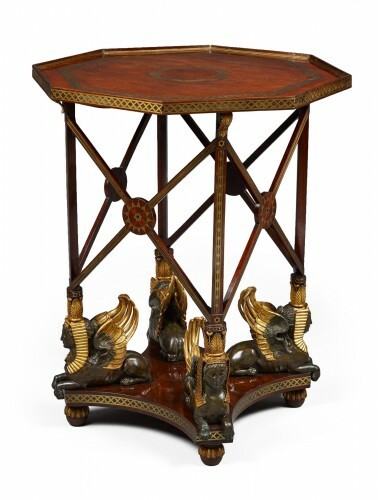 From 1775 onwards objects in Louis XVI style were more stylised and sleek in reaction to the elaborate decoration of the Louis XV Rococo, and Rocaille designs. 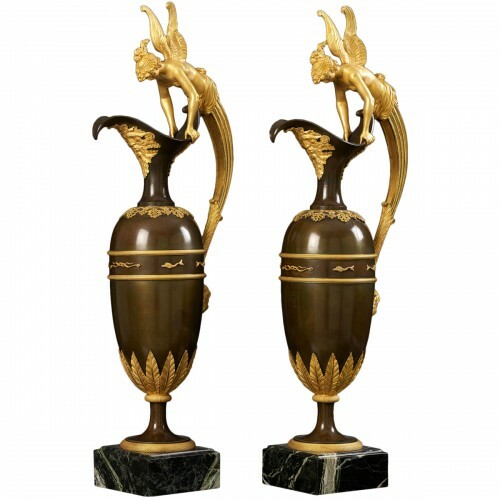 This was referred to as “goût Grec” although the inspiration mainly came from recent excavations in Pompeii and Herculaneum in the kingdom of Naples, nowadays part of Italy.